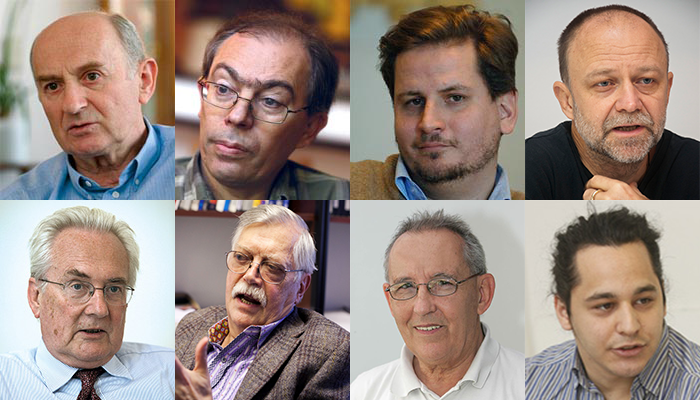 We asked eight intellectuals the day after local elections were held: where do we go from here? What can be expected from the left-wing, and what will become of the right-wing? Although they analyse Hungary’s domestic politics from a variety of different standpoints, they agree on the following: by voting for someone else or not voting at all, opposition voters punished the left-wing, as well as everyone incapable of offering an alternative to the current government. But they also see the way out of the opposition’s mental trap. It was rather passivity that was characteristic of the local election. It turns out the twenty-five percent of qualified voters are also capable of electing a Fidesz-KDNP two-thirds majority. In addition a significant part of the voters gave up struggling against the Orbán regime which has obviously settled in for the long run. It was also perfectly clear that there is no opposition alternative. The left-wing parties were exhausted, Together-PM faded to insignificance. DK achieved the most but concentrated only on its conflict with MSZP. One must look at who sits today at the head of the party. There are no charismatic pesonalities among them. Furthermore, the majority (of left-wing parties) are only interested in the strengthening of their own position. For years now their popularity has continued to fall after such trials. Although with credible people they might have a chance. The opposition won in those electoral districts where the candidate’s person and not his party was appealing. For this reason it is necessary to start over from scratch the building up with a new, definite concept and figures with clean hands that appeal to voters. If this does not happen, then the regime is going to remain for many, many decades. What happened in local elections was precisely what I expected. It was clear that István Tárlos could only be defeated with a joint candidate and program. But the left-wing parties could not agree with each other. The failure was predictable. Fidesz’s countrywide victory does not indicate that many more people supported them. The democratic opposition voters punished the left-wing and everyone who was not capable of offering an alternative to the government. The same thing was expressed earlier in parliamentary and EP elections as well. For the third time they punished them “on paper”. Nor is it news that the left-wing could not run a viable candidate for head mayor. No MSZP candidate has had a chance at this position in the past 25 years. The worst script would be if the left-wing communicated the results as a success by referencing to the fact that they won five districts in Budapest on Sunday, two more than in 2010. The democratic alliance as presently constructed has failed. The MSZP is an outdated, immodern party which on the level of words represents the poor segments, but which actually has no ideas. DK and Together-PM are also incapable of taking over the leading role on the left from MSZP. These parties are not able to extricate themselves from continuous conflict and arguments with one another. Not even when the voters have indicated to them many times they don’t want this! A completely new left-wing power must be created. Only this can bring about renewal. Local elections brought nothing new: you could count with a Fidesz victory. Jobbik did not become, and will certainly not become, a larger party than it is. The so-called left wing parties, on the other hand, have only vegetated for a while. There will not be a substantial change in political power relations so long as the democratic opposition is not able to project to the voters a coherent vision that society can well identify with. This is what Fidesz did: they offer their believers national cohesion and an emancipated society. But this is not the only problem. The electoral system forces the opposition into incomprehensible formations. This is a mistake. Joining together causes them to lose and not gain votes. The parties must define themselves separately from one another and prove their worth. Let it be seen what makes LMP, which claims to be a left-wing party, PM or MSZP a left-wing in actuality, and how it can appear in the social welfare state community. Or let it be finally clear whether DK and MOMA are liberal political powers, or right-wing in an economic sense. I believe that only the left-wing can defeat Orbán. In the face of a national unity philosophy only the left-wing can be competitive with a social welfare vision. And this could activate the non-voters, which is perhaps the most important thing for the left-wing. The election does not interest me as an artist, athough if the left-wing candidate for head mayor wins some intolerable memorials might disappear from Budapest. And from Szabadság square. However, as a civilian I am more concerned with how many go out to vote. It is sad that far fewer than four years ago. This is especially worrying in the large cities and Budapest. Apathy can also be a reason for the unsuccessful campaign. I think voting and engaging in public matters in general is a social responsibilitiy. This is the basis for democracy. Civil courage is especially important today when a new era is beginning. The Russian-Ukraine conflict, strengthening nationalism, the threat to Western values posed by Islamic terror that can only be defended with a strong European knowledge of self. Hungary could find itself in serious danger if we tolerate as a society the government’s program of illiberal democracy. As the current elections also showed. Apathy solidifies a monolithic political system in such a way that the state can exercise power independent of the citizens. But it is never possible to know how long an apparently quiet people stay silent. When do isolated people activate themselves and start to organize civil societies? We don’t know either what the people’s apathy covers up: resignation, incompetence or a strong restraint of emotions. The years before us will give an answer to this. The results of the elections are unequivocable: the democratic needs of Hungarian society have been placed over a low flame. There are no real expectations in a modern European sense. It’s enough if the government takes care of them, gives them money and protects them from the stronger. In exchange for this the inhabitants keep quiet. The Fidesz campagin had two striking elements: settling scores with the banks and lower household utility costs. The left-wing was much criticized for having no vision of the future and for failing to articulate an understandable, conceptual message to the voters. But in this way it is not even possible: for such a value system there is no adequate answer. Much is revealed by the fact that the most successful left-wing government was Gyula Horn’s who continued the distributive traditions of Kádár. Those governments that tried to change this failed, and at the same time their economic policies were faulty. There is no way out of this mental trap so long as Hungary’s intellectual elite is incapable of realizing the serious consequences of this condition. For example in economics. In this medium creativity also decreases to a minimum. The lower value-added jobs remain. And so long as this is the reigning approach, Hungary will also depend on others. In other words, we remain a colony. I did not calculate with Lajos Bokros’s 35% result. Ths is impressive considering how moronically the left-wing behaved in the Budapest head mayor election. I don’t even know if we still have a left-wing or if it is rather a liberal democratic opposition. In spite of Istvan Tarlós, I believe liberals are still in the majority in the capital–they should have won here. But 60% of Budapestiens did not vote. Presumably left-wing voters did not want to support Bokros’ liberal right-wing politics. The day after the election József Tobiás, the MSZP chairman, declared that his party’s greatest victory was the defeat of Gyurcsányists. Question: who was the left-wing parties’ real opponent? It appears they were struggling against another. Despite Fidesz’s landslide victory, a slow erosion can be felt. They lost three districts in Budapest in comparison to the previous local election. However, Viktor Orbán’s illiberal democracy got a new affirmation. The most worrying is that Jobbik unequivocably strengthened in the county councils. Between now and the 2018 parliamentary elections Fidesz will have to make a lot of unpopular decisions that will accelerate this erosion. For now they appear undefeatable, but nothing guarantees that they will once against obtain an absolute majority. It is questionable what alternative the liberal democratic opposition can offer voters in the face of Jobbik’s strengthening. They could create a party union, even one led by Bokros, which the DK chairman is urging. Its success will also depend on Ferenc Gyurcsány’s ability to withdraw to the background. The MSZP could disappear into the liberal union. Separately it is not capable of effectively representing the left-wing interests. The local election had a countrywide voter participation rate of 43%. This enabled Fidesz to achieve victory with around 50% of the actual vote. This is actually 21.5%. The majority of the country’s inhabitants—the large majority—did not vote for Fidesz. Or rather, it was not for Fidesz that they voted. In 2010 64% voted, and a good half cast their vote for Fidesz. Now a good one-third resulted in a Fidesz two-thirds. But they don’t acknowledge this. They are suggesting that they represent the whole nation. In the meantime they modified the electoral conditions on many occasions. We can also see that the opposition had some kind of chance where they ran credible, strong candidates and where there was unity. This is how László Botka could win in Szeged, for example. Lajos Bokros’ 36% result was nice and he could achieve more if the opposition recognizes that they musn’t run parallel candidates again. I now that Budapest is not a liberal city. This word hasn’t meant anything for a long time. In the meantime the big western right- and left-wing parties have incorporated all the liberal values into their politics. If I have a passport, and the black car does not come (for me), that is thanks to liberalism. In Hungary the right- and left-wing designations have lost their meaning. What would I like? If finally a real right-wing and a real left-wing party would come about, and for them to possibly even form a large coalition that could put the country in order, for example by once again bringing about a functional educational system capable of guaranteeing the country’s future. Similar to the general election, the local election was also a profanation of democracy in almost every respect, by which I also mean the parties that mistakenly call themselves left-wing clowning around in the capital city. Fidesz significantly emasculated local governance and—in the face of the spirit of constitutional democracy—not long before even changed the method of choosing the city council. The Sunday election, too, was rather about the governing party legitimising its power with an ostensively democratic procedure, and not about citizens actually having influence over public matters. And, unfortunately ,with the current political actors this will remain for a long time. Every sign shows the current so-called left-wing parties are incapable of renewal. Furthermore, Orbán cannot be defeated with leading politicians from the pre-2010 system—for example Ferenc Gyursány or Lajos Bokros. One of the members of the MSZP party executive said on the night of the election: it is necessary to be a member of the opposition, but it is not certain that we need to be ourselves. He was very right. A new, truly left-wing is needed. And it is necessary to search for opportunities to resist outside of the institutional framework.